The Field & Stream Scrapeline Lite provides safety and comfort. This treestand features a 32.5"x 22" slat platform and a flip-up platform seat with a comfort seat cushion. 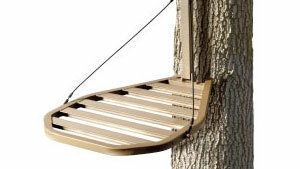 The stand includes a full-body, fall arrest system and suspension relief straps.